Six multi-generational characters, three interconnected stories, one overarching theme that binds them together… Sounds familiar? 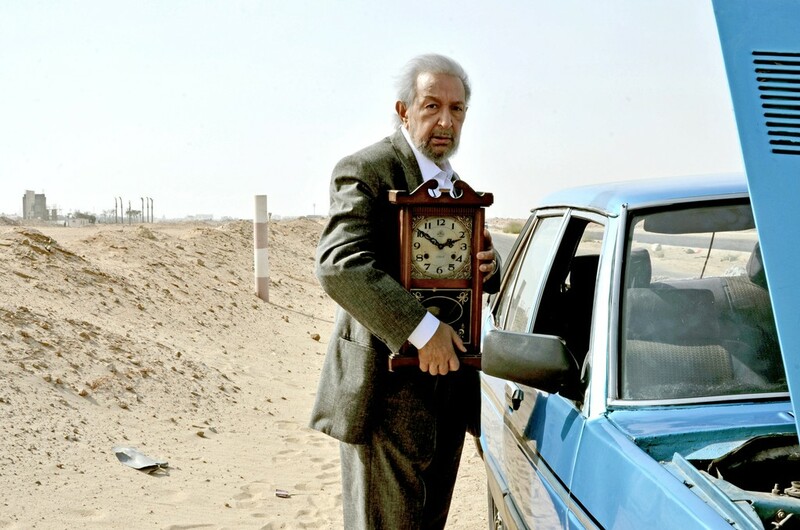 New Egyptian film Cairo Time (Betawqeet El Qahira, 2014) is a classic multiple-storyline film. It’s a winning combination that is increasingly used in popular contemporary film, showing a cross section of life in one place, at one time, and the inextricable connectivity of life in our modern world. It can be found in the seamlessly interwoven British film favourite Love Actually (2003) and in Arab films such as Merzak Allouache’s The Rooftops (Les Terrasses/Es-Stouh, 2013) and the cult classic The Yacoubian Building (Omaret Yacoubian, 2006). Such an approach to film-making has the ability to highlight the spectrum of a human and societal difference as well as a variety of pertinent issues and concerns. The film unfolds over a single day, and the six characters in Cairo Time are all at a crossroads in their lives: Leila, a retired actress, is looking for Sameh, her old co-star to seek a divorce from their on-screen marriages; Salma, Leila’s daughter, is thinking about taking her relationship with boyfriend Wael to the next level in Wael’s friend’s apartment; Hazem is a young drug dealer who is on the run from Alexandria to Cairo and accidentally ends up giving a lift to Yehya, an old man with Alzheimer’s. 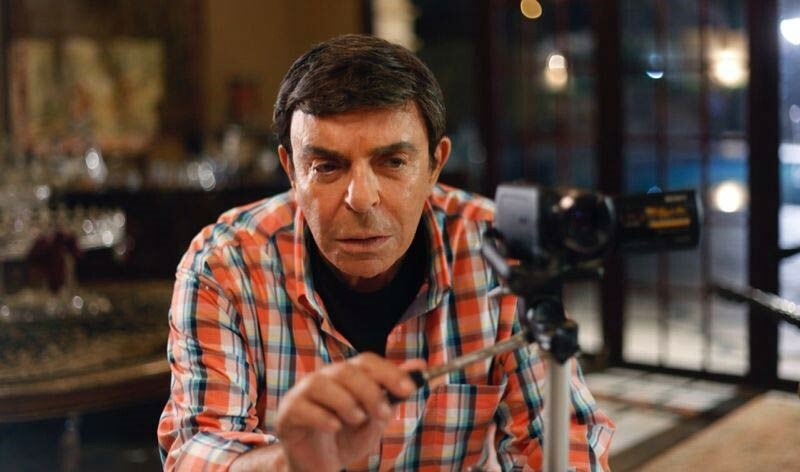 Yehya holds a picture of a beautiful young woman who he can’t remember but is sure is important to him, and so sets his ‘last dying wish’ on finding her. Unsurprisingly, the narratives collide at the end in touching and not fully predictable ways. In fact, one of the best things about the film is its fast paced storyline that keeps you guessing right until the very end. Yehya (El-Sheriff) hitches a ride with drug dealer Hazem (Ramzy). Salma (Amer) with Wael (Kassem). The film features a stellar cast of Egyptian cinematic icons, including Mervat Amin, Samir Sabri and Nour El-Sherif, as well as young up and coming actors Sherif Ramzy, Ayten Amer, Karim Kassem, Tunisian actress Dorra and Syria’s Kinda Alloush. Cairo Time deserves to become an instant classic, not only for El-Sheriff’s exceptional and tenderly delivered performance as a lost and wandering soul losing his memory, but also for the fact that this is his final performance, as he sadly died from an ongoing illness in August of this year. This film also marks the long anticipated return of director Amir Ramses to feature films. Ramses is best known for his box office hit The Code (Wara’et Shafra, 2008) but has recently been focussing on critically acclaimed documentaries The Jews of Egypt (2013) and End of a Journey (2014). As with his previous films, Ramses wraps a great deal of emotion and sensitivity into Cairo Time and tackles tough and pressing issues that affect Egyptian society today. One of the film’s most successful aspects is the way in which it relates some of the issues surrounding post-‘revolution’ Egypt without being too overt. For example, one scene shows Salma being harassed by various men on the street, an issue that has become increasingly prevalent since the uprisings. In Wael’s friend’s flat, pictures hinting at left-wing socialism adorn the walls, while Wael is later terrified to be asked to take a mysterious blue folder to his friend. Such subtle sub-plots and settings, build a feeling of pressure, panic, and suspicion that somewhat epitomises the younger generation in Egypt right now. Other issues raised in the film include extremist Islam, as enunciated through the fatwa stating that weddings in films are real marriages in the eyes of God; interfaith marriage, through Yehya and his late wife; drug and gang culture, through Hazem’s story of deceit; and the issue of diasporic families through Sameh’s distant son in Canada – there are so many layers built into these interwoven stories that the film warrants multiple viewings to catch all of its intrinsic parts. One may argue that there is a little too much going on – some elements could have been simplified and certain character relationships (such as Salma’s with her mother) could have been better developed. But overall, this is a film that will draw you in and place you right on to the bustling streets of Cairo, and immerse you in all its drama, vitality, and unpredictability. Cairo Time is screening on Wednesday 28 October 2015 at Leighton House Museum. You can buy your tickets here. This review was written by Aimee Dawson; a London-based writer and blogger on contemporary art from the Middle East and North Africa. Nour Festival of Arts shines light on the best of contemporary arts and culture of the Middle East and North Africa each October and November in venues across Kensington and Chelsea.